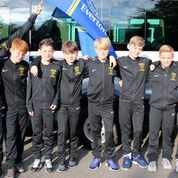 On the 17th of March 2016, eight exited boys set out to make history for Childwall CE representing Everton Football Club in the Premier League Schools Tournament. We headed out at seven o’clock in the morning travelling on the school mini bus ready for a big day ahead. When we arrived, we took our tracksuits off and put our boots on. The team went and lined up on the pitch to go down the tunnel for the opening ceremony of the tournament. While we were waiting for the other teams to go on the pitch Mighty Red (Liverpool’s mascot) and Chang (Everton’s mascot) came over to talk to us. We were showing them handshakes and they were showing us dance moves. All the teams eventually got on the pitch and we went down into the tunnel. Everyone team was in there and they were all up for it. 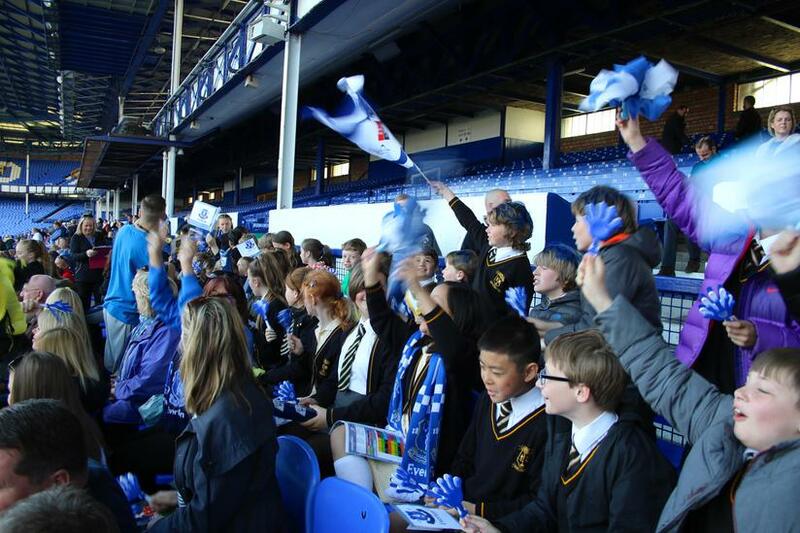 We walked out holding the Everton flag and our whole year group cheered us on. After, we went to the first team dressing room where the BPL trophy was, we took photos it. It was exciting to see the trophy not on a television screen but in real-life. We had a lot of time before our first game so we went outside to the parking area. We warmed up by doing lots of different fun activities. 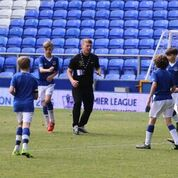 Once we were ready for our first game against Southampton we went onto the pitch. 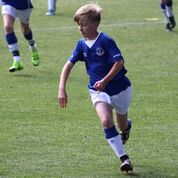 We started our first game on a high with goals from Joe, winning 2-0. Then we had a little rest and a drink. 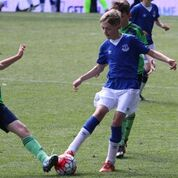 The game after that was against Manchester City it was the toughest group match but we just managed to pull the win out of the bag by winning 1-0. 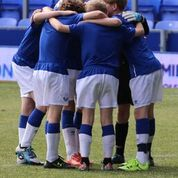 We had a short rest before are next game against Stoke City who have also won all of their games and if we didn’t win we wouldn’t be able to progress through to the semi-finals. 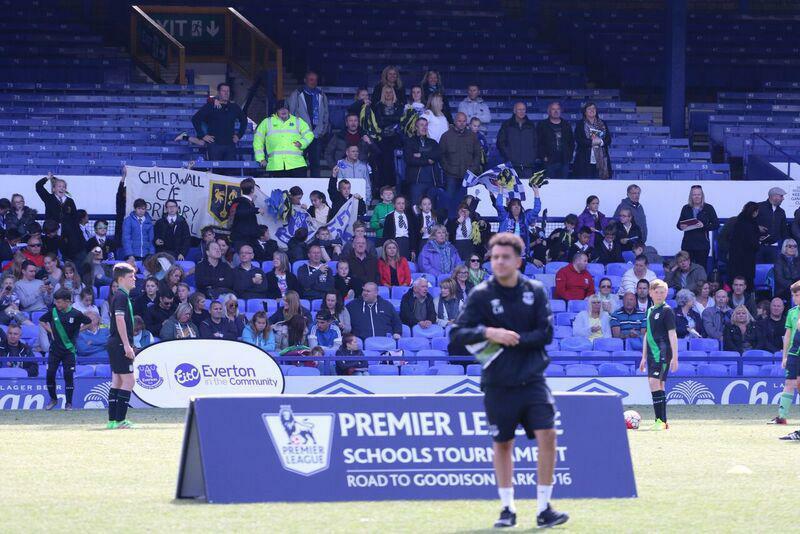 We then found out that we were playing in-front of our year group/ fans which gave us a huge boost. 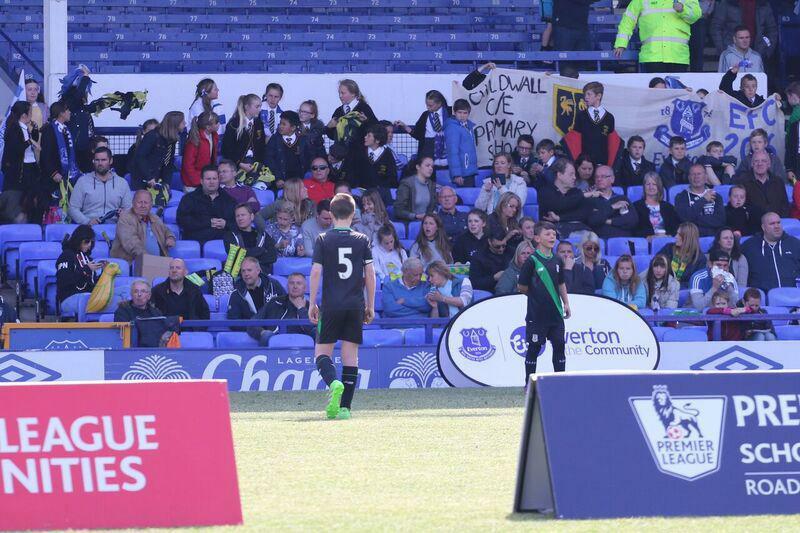 We walked over to the pitch and the fans were so excited to see us play right in-front of them. 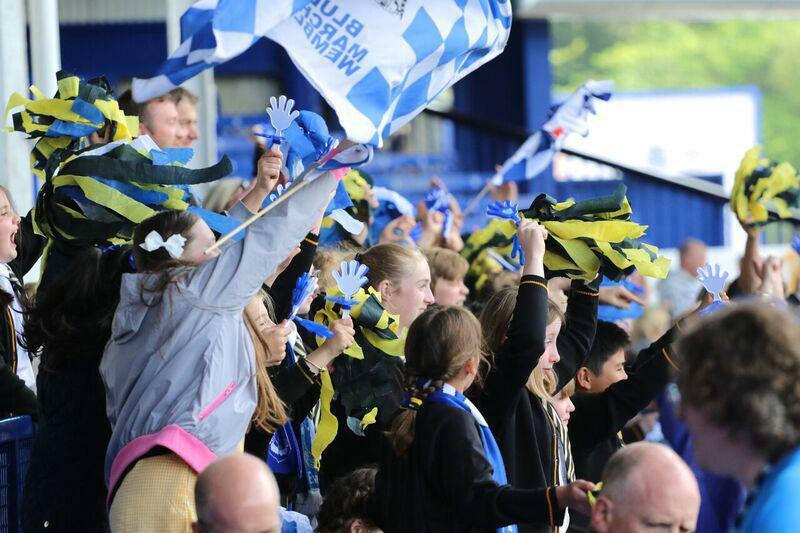 The atmosphere was amazing and we won 3-0 with cracking goals from Joe, Elliot and Ellis. 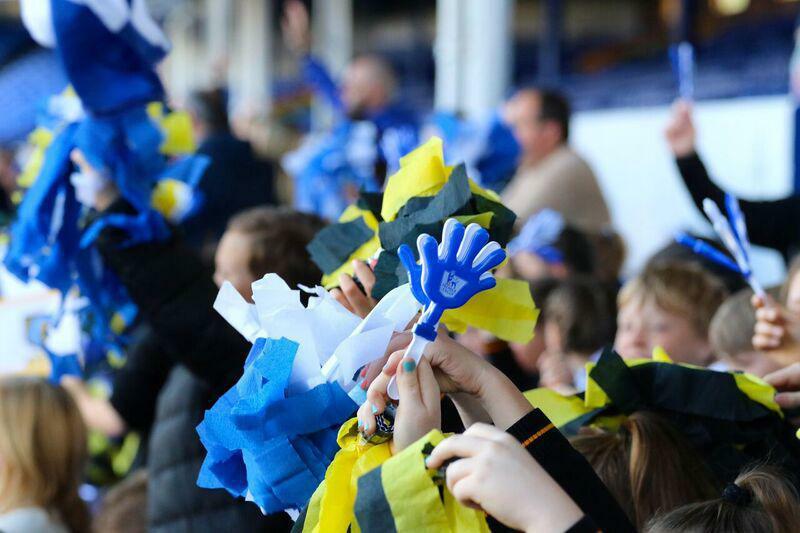 The fans kept us in it with flags waving everywhere and Sam Churchill especially. Our next game was against Norwich and if won that game we will be able to progress to the semi-finals so it was a big game for us. 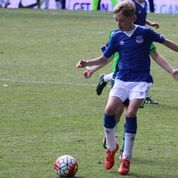 The game kicks off and Everton are off on a fiery start with Billy Jones slicing a great shot into the back of the net. Norwich bring it to the centre and try to attack at are defence but they just couldn’t get threw them so Max Wormald passes the ball to Joe Cunningham and he looks up and finds Billy Jones in anchors of space so he passes the ball to him and Billy taps it home for the blues. 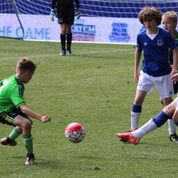 Not much for Everton keeper (Owen Griffith) accept for one astonishing save from him with Norwich’s number 10 with him shooting in the top corner. 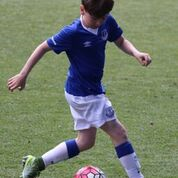 Everton get a corner with Charlie Ash taking it Billy wanting a hat-trick ran in and headed the ball in the back of the net. 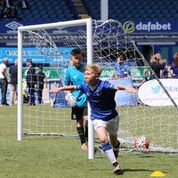 A last minute goal occurred with star striker Ellis Hampson does a top corner shot. 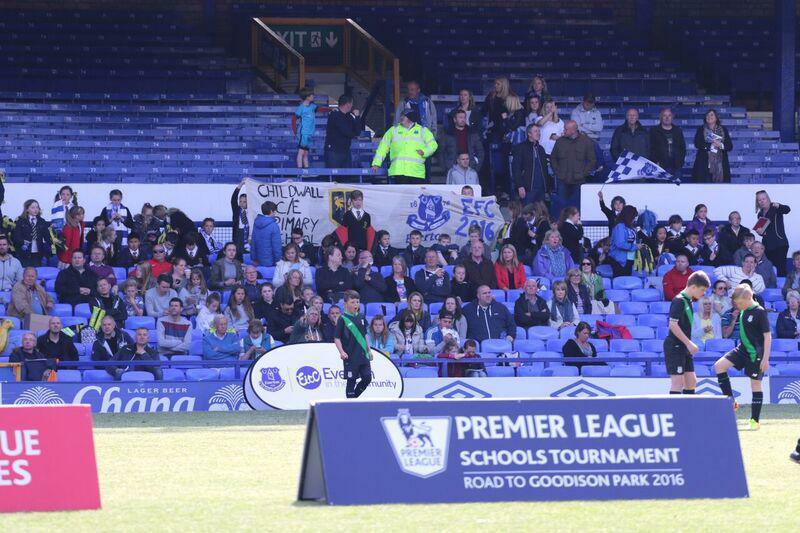 Everton win 4-0 so we progressed to the semi-final against Swansea City. 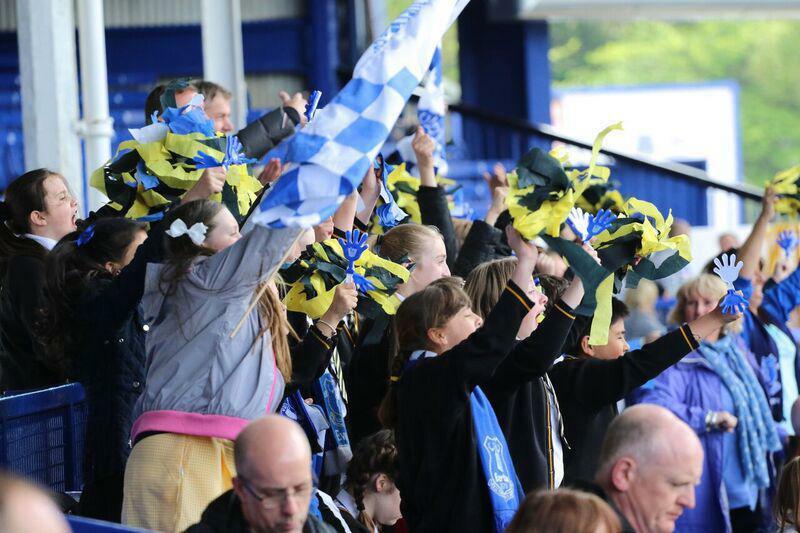 We went up to the crowd and thanked them as they were the best fans in the world. Swansea goes into the semi’s with 10 points out of a possible 12 but Everton go into the game with 12 out of 12 by winning all of games. We kicked off and we took an early lead with a bottom corner finish by Elliot Hunter! Swansea took the ball to the middle with their heads held high ready to go. Swansea hoof the ball up from kick off but its just wide of the post. Childwalls captain Joe Cunningham is fouled just before the halfway line. Joe stepped up and too it. GOALAZO!! What a strike. 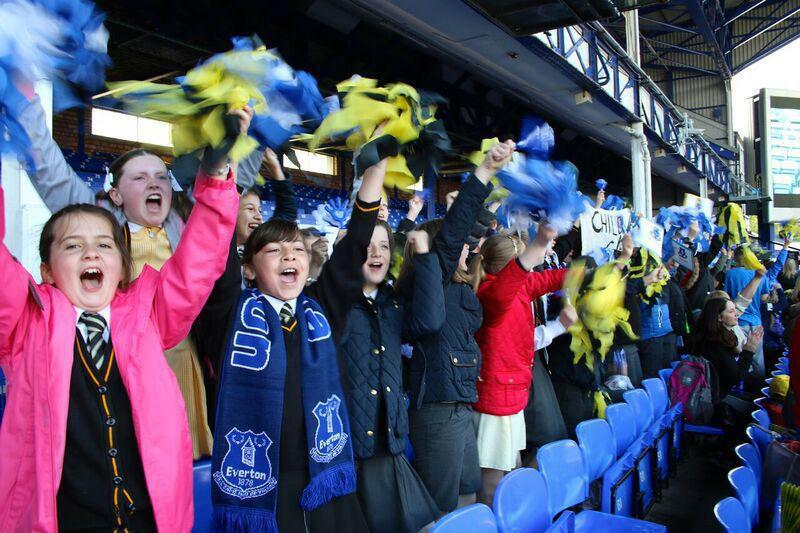 Now the score is 2-1 to Everton all the fans cheered and waved their big flags. Soon after Swansea scored, the keeper parried it and it rolled in. 2-2. Swansea on the counter with lots of white shirts up top and it’s an easy tap in for Swansea. 3-2. Everton lose the ball off kick off and its picked up by a Swansea player who strikes it with the laces of his boot and it goes back of the net. 4-2. The full time whistle is blown and that’s Everton out. Unlucky boys. 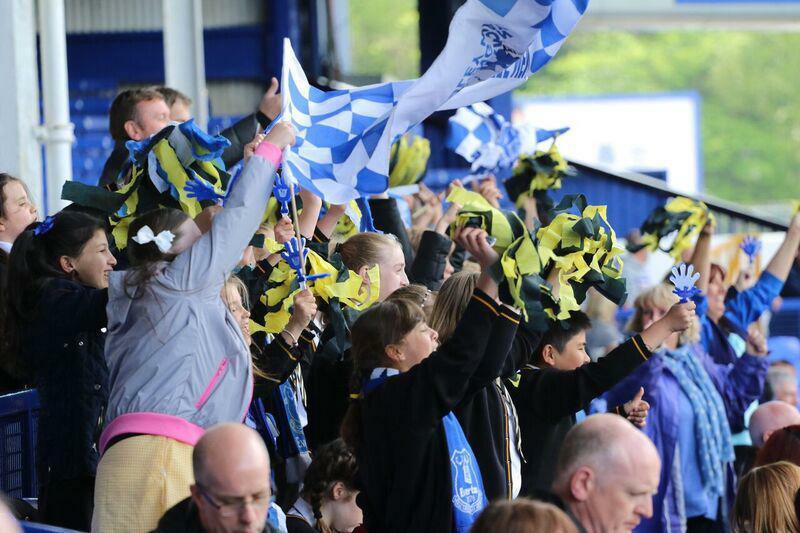 We went over and clapped our amazing supporters. Then we went into the stands got our boots off and put on our trackies. 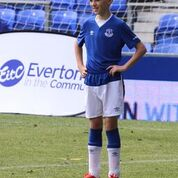 Next went to see Leighton Baines and Jonjo Jones and we got our pictures taken. The players for the final came out onto the pitch. They shook hands and the game was played. Crystal Palace off to a fiery start but they couldn’t hang in there and Swansea won 1-0. 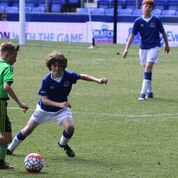 What an amazing experience to play at Goodison Park representing Everton. Its an incredible achievement for the school and for the players and the team would like to thank Mr Hawthorne for being so inspiring and very inspirational. Well played boys. 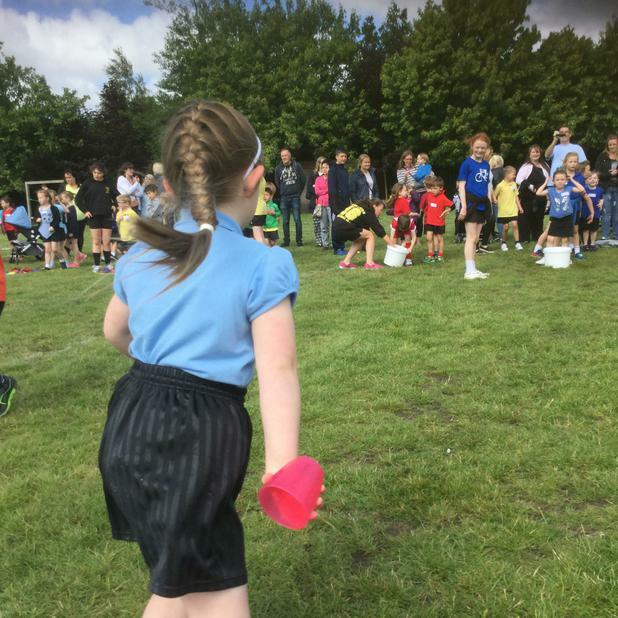 Having spent the morning competing in their house teams as with the whole school, our juniors spent the afternoon taking part in our annual running races. 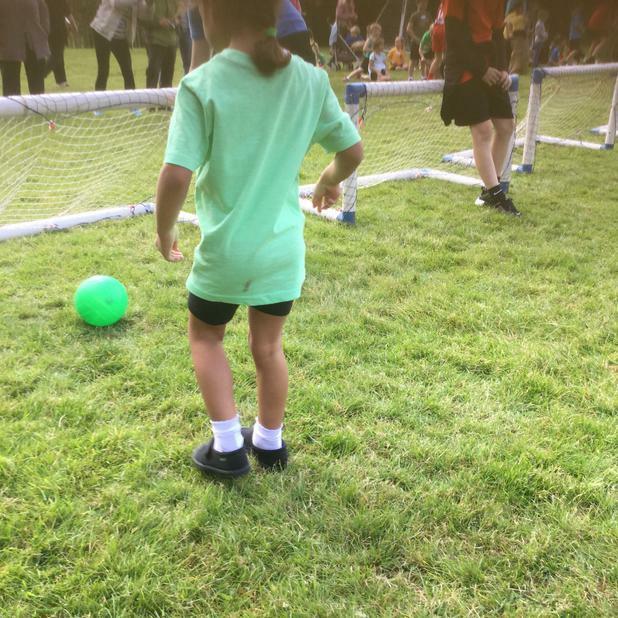 A group of 5 girls and 5 boys from Year 2, represented us in a multi skills athletics competition held at Broadgreen International School. 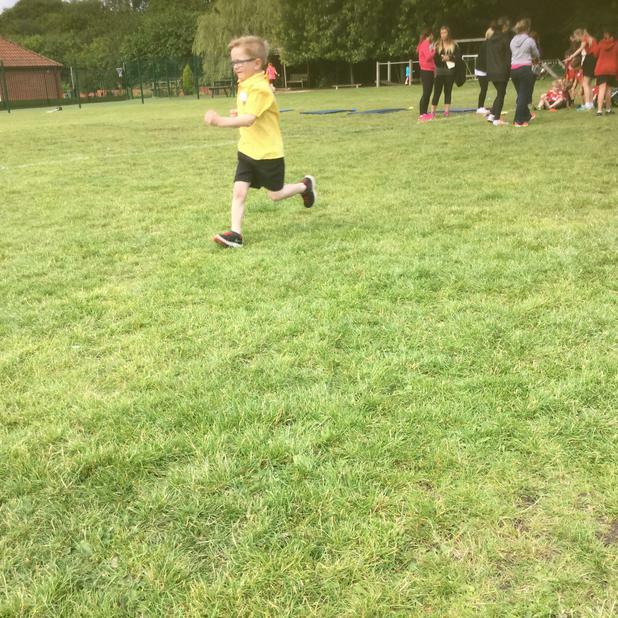 Each of our children were competing in events such as the 50m Sprint, 300m endurance run, Vortex howler throw, standing long jump and the 50m relay race. During these events, all of the individual results would contribute to our overall points score. Following a fantastic display by all our competitors, we were crowned the overall winners. Great job everybody!!!! A group of Y6 girls participated in a kwik cricket tournament this week at Sefton Cricket Club. Following four weeks of training and working hard to master the over arm bowling technique, our girls performed really well throughout the competition. During the group stages we played 4 matches, winning 3 of those in some really exciting games. We progressed into the semi finals, but were beaten by 4 runs to send us out of the competition. A huge well done to the girls who were a credit to our school during the whole day, each one of them had a fantastic day! 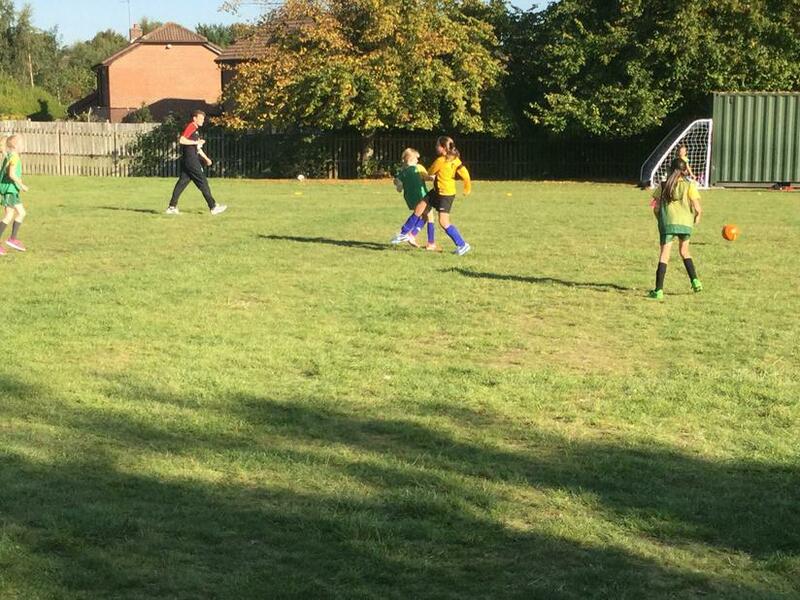 Our Lacrosse team made way to Toxteth Firefit again this week, to compete in the City Finals! 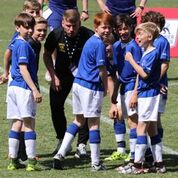 The prize for the winning team was to qualify for the National Finals held at Sheffield. We didn't get off to a good start, losing our first two games before finding our feet. We didn't quite have the consistency to qualify for the nationals, but completed the tournament with two wins, finishing 5th in the City overall. Well done to all the children who were involved in both the district competition and finals. A group of year 5 and 6 children attended the south district Pop Lacrosse competition at the Toxteth Firefit venue. 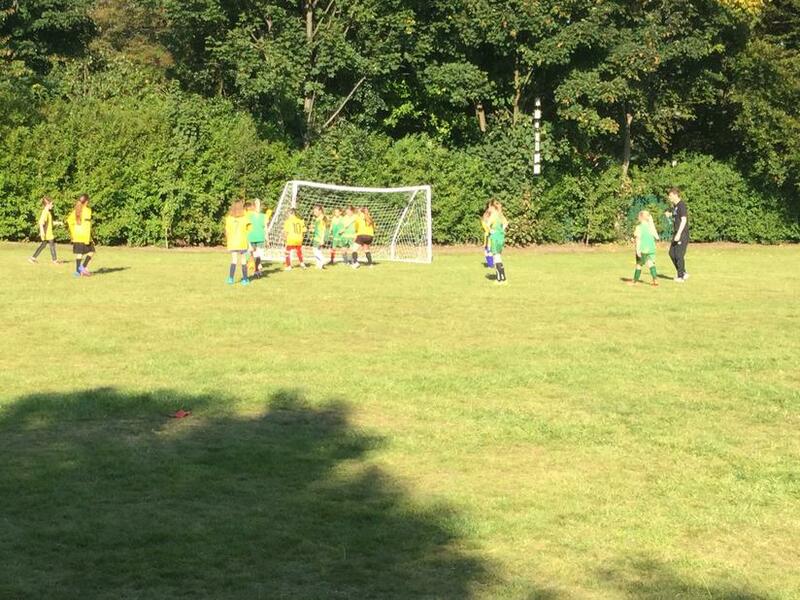 Following our 6 weeks of practice, the skills and understanding of the game were visible from the first minute. We progressed through the group stage into the semi finals, before making our way into the final after defeating Belvedere in a really exciting game! Unfortunately, we were beaten in the final against a strong Rudston team 6-4. Although the final game didn't go our way, we were still able to qualify for the city finals next week. Well done and good luck! 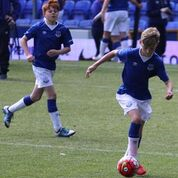 Once again we attended another EFC competition, this time for the year 6 boys. 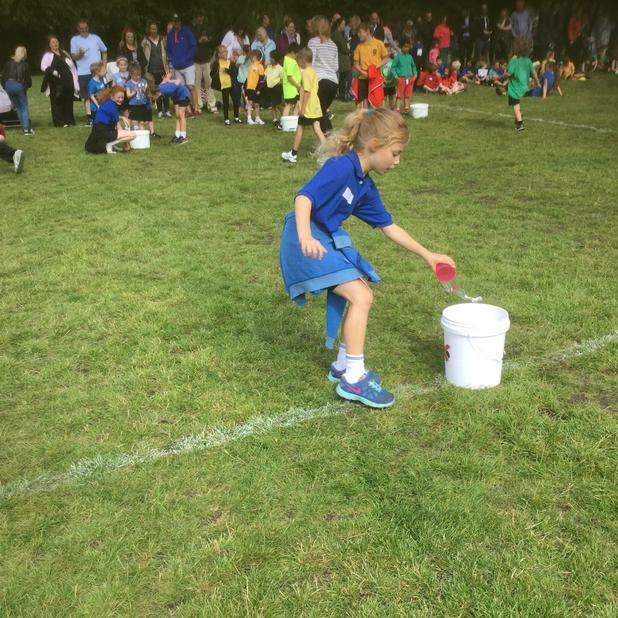 It was almost a repeat of last week's year 5 competition. 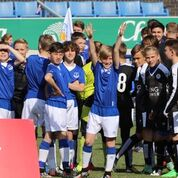 Winning 5 group games and drawing 1 game, without conceding a single goal, our team progressed through to the final. We were up against King David and again continued to play really good football. 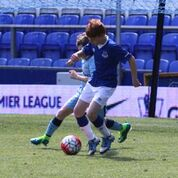 The game finished 0-0 after Childwall dominated the game and came close to scoring on several occasions. 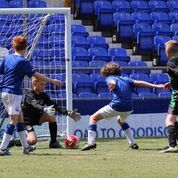 Once again it was penalties to determine which team would progress to the Merseyside Finals at Finch farm. 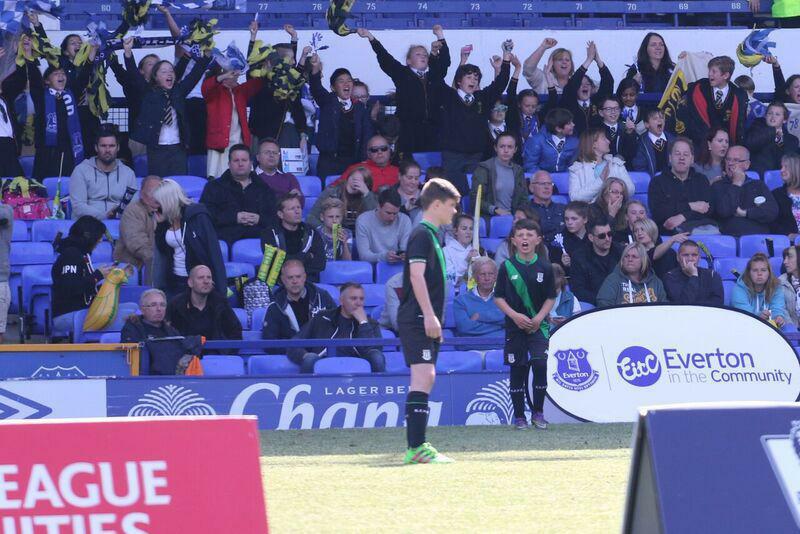 Unfortunately, we were beaten 3-2 on penalties and it was disappointed faces all round for the Childwall boys. However, we are very pleased with the effort, attitude and behaviour during the tournament. Another league match saw Childwall play away to Sudley. 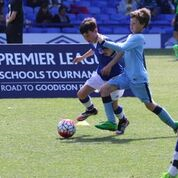 Childwall started the game really strong, keeping possession well and creating chances. At half time, Childwall were leading the game 1-0 thanks to a great finish by Joe. 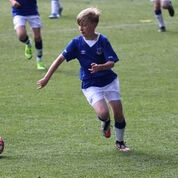 The second half was similar, once again Childwall being a threat upfront and then doubled their lead with another nice finsih from Joe. Final score Sudley 0-2 Childwall. We had a group of year 5/6 boys and girls represent our school at the south/south central swimming gala heat. Our boys team finished in 4th place and our girls finished in 3rd place, missing out on the city finals by one point. We were proud with the way our team conducted themselves at the event and were once again impressed with the standard of their performance. 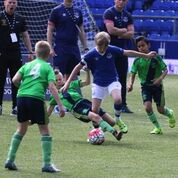 A group of year 5 boys attended the EFC football competition at ESLA in the South District stage. We won our group stage by winning 5 and only drawing 1 game. 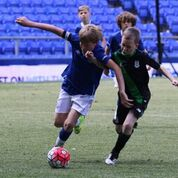 We progressed into the final to play the winners of the other group, with the game ending in a 0-0 draw. So it was all down to penalties! Unfortunately we were beaten in sudden death, a truly heartbreaking way to be beaten. 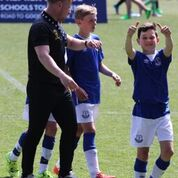 Our boys showed a fantastic attitude throughout the competition and were very unlucky not to progress the Finch Farm for the Merseyside Finals. Our Year 5/6 Basketball team attended the Merseyside Finals at the fantastic facility that Archbishop Beck High School has to offer. We performed to a really high standard, finishing 2nd in the overall group stage and progressing into the semi-finals. Unfortunately we were beaten in this game and fell short by one basket, but we are really proud of the team for their great achievement of reaching the Merseyside level and they have certainly set a really high standard for the future. Well done! 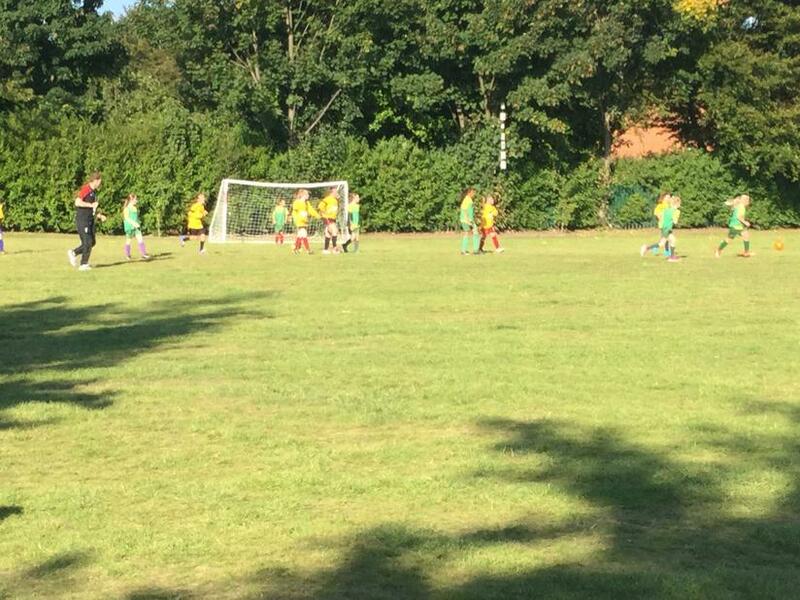 It was a confident performance by Childwall during their 5th League game this season. It was clear that the team have gelled since septemeber, scoring 9 goals in total during the game. Very impressive, strong performance from the home team. Final score Childwall 9 - 2 Mosspits. A group of Year 6 girls represented our school in a KS2 Dance event at ESLA. Their performance was fantastic, highlighting all of their hard work and practice. We were awarded the Self Belief Award by the Judges which we are delighted with, Well done girls! It was great to see our boys and girls cross country teams take part in the City Championships at Wavertree. We were thrilled with the effort and desire to finish the races and are delighted that our Year 5 boys’ team were awarded the Bronze award. Well Done! 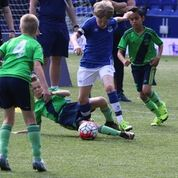 Two teams of Year 4 boys participated in an EFC football tournament at Enterprise South Liverpool Academy. 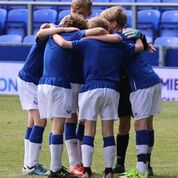 Both sides displayed a lot of good football determination on the pitch and were very unlucky not to progress through to the Finals. 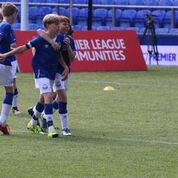 We are delighted to tell you our Under 11’s 6 a side football team won the EFC Merseyside finals and will now be representing Everton Football Club in the Premier League School’s Football Tournament. This is an outstanding achievement. 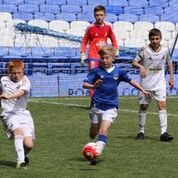 The competition is a national competition and our boys will be playing against the schools who have won the right to represent their Premier League side. 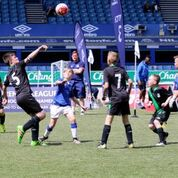 The tournament will be held at Goodison Park on May 17th. Taking place at Sefton Park. We entered two teams of boys and girls into the year 5/6 dodgeball tournament at ESLA. Our teams showed a great understanding of the rules, which can be difficult at times. They all had a fantastic time competing against other schools and showed lots of improvement as the competition went on. Well done to everyone for giving it their best! 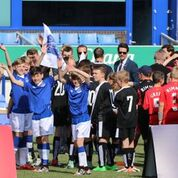 We participated in the first stage of EFC's football tournament in their quest to find the strongest 6 aside team in Merseyside. 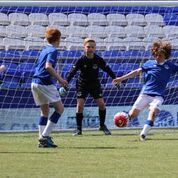 It was held at the Lucozade Power League venue and was a day that needed a lot of hard work and stamina. We got off to a great start, finishing top of our group before entering the semi finals against a really tough side. 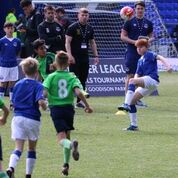 We brought the game back to level terms on two occasions before progressing through to the finals on penalties. 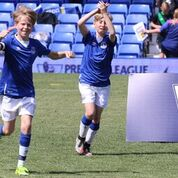 With a lot of passion shown on the pitch and tremendous play with the ball, we qualified for the Merseyside finals as winners with a 2-0 win! Well done Boys. Eight of our year 1 children visited the LFC Academy to compete in LFC’s Football Festival. 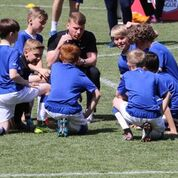 They took part in some small football sessions delivered by the LFC coach's, followed by playing 3 matches against other schools. 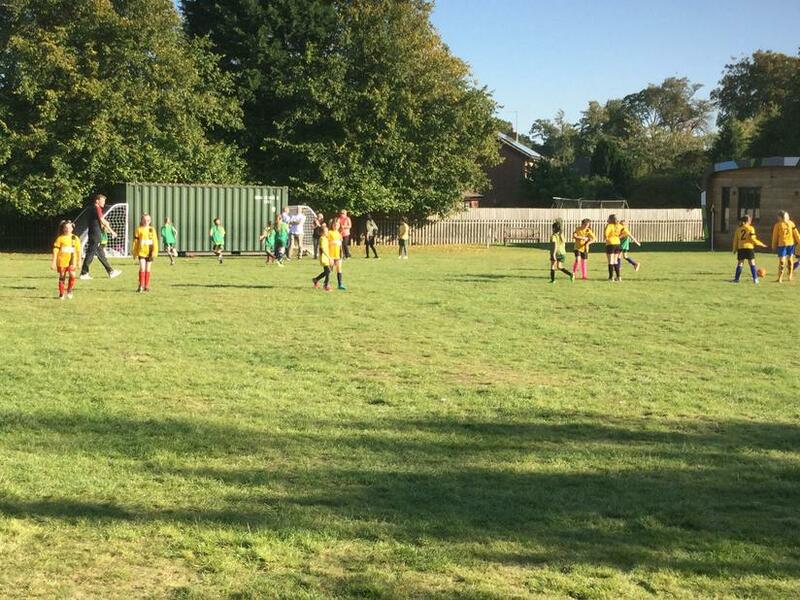 Our children were fantastic, winning 2 of the games and scoring lots of goals. They enjoyed every minute of it!! We took two teams to compete in the South and South Central heat of the Liverpool School Sports Partnership. 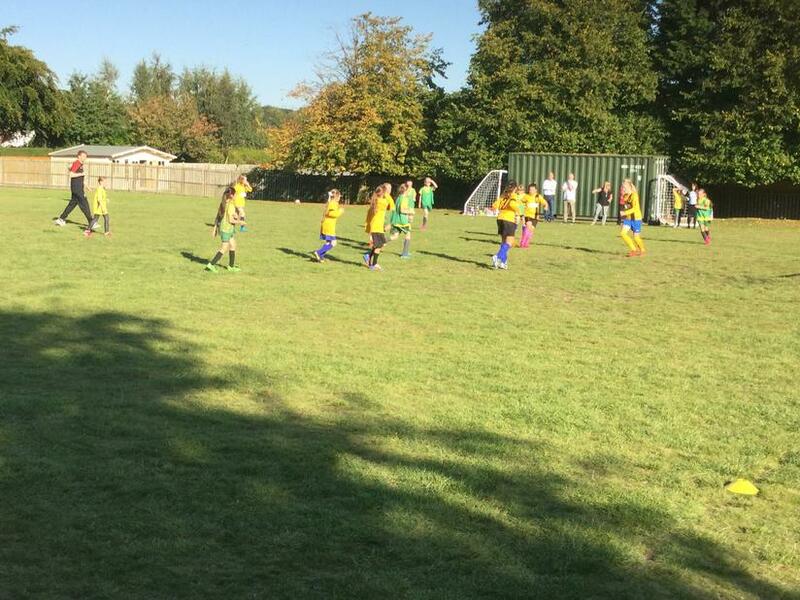 Well done to both teams who represented the school impeccably with behaviour and sportsmanship. A huge well done to the A Team who won the heat and have qualified for the LSSP City Final on Thursday 21st January. 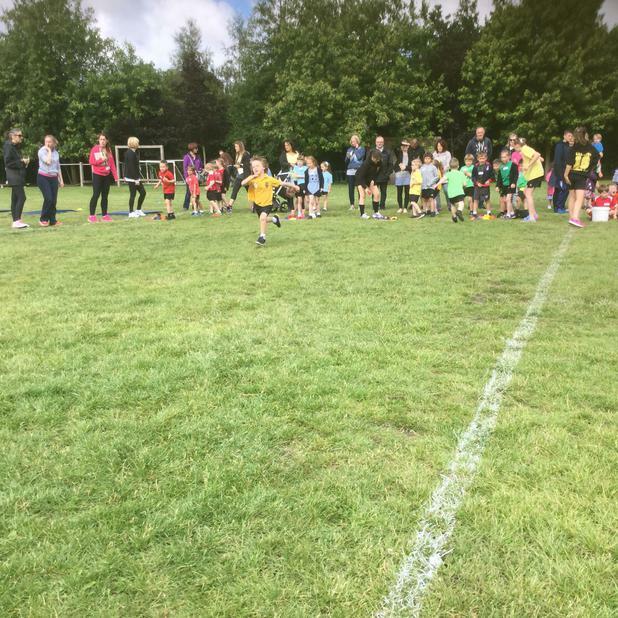 Having qualified for the finals as the best runner up overall, we will be competing in the South and South Central LSSP Sports Hall Athletics Partnership Final. We entered a further two water polo teams into the shallow water competition at the Aquatics Centre, Wavertree. Once again, our children were excellent ambassadors for our school, showing a great attitude towards a new sport and giving their best during every game! We took a group of 16 Y3&4 children to attend the Sports Hall Athletics competition to represent our school in Heat 2 of the South/ South Central District. We finished 2nd overall and had a handful of 1st place winners in the individual and relay events. We still have a chance of qualifying for the finals, as the best runner up overall. Our year 5/6 water polo (Deep water) team played 4 matches at the Aquatics Centre, Wavertree. We played extremely well in such a difficult run of games, winning 1, drawing 1 and losing 2. Once we had adapted to the rules and conditions of the game, we could see a dramatic improvement in our play. 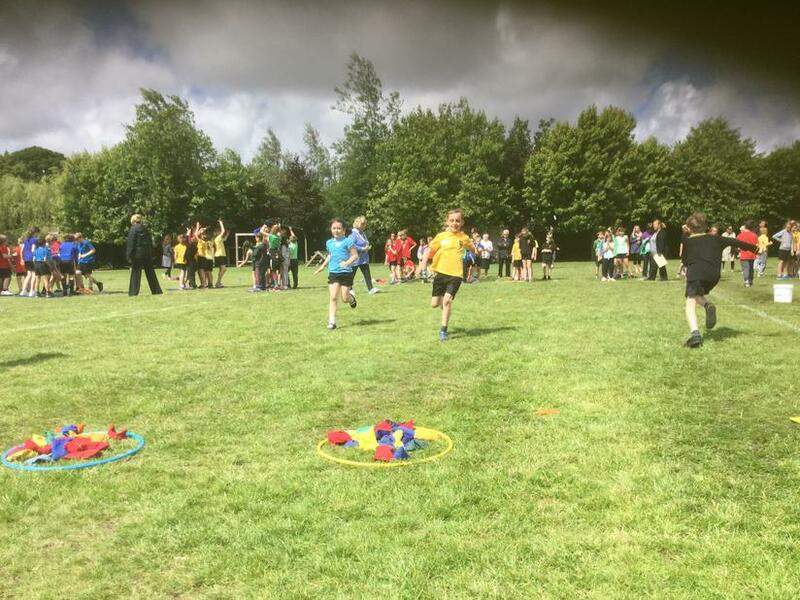 The children thoroughly enjoyed taking part in a game they hadn’t played before and their behaviour was a credit to the school! Another huge achievement for the school, being nominated as primary School of the Year at this years Merseyside Sporting Champions. Whilst not winners, we are very proud of our shortlisting achievement and thoroughly enjoyed representing the school at this prestigious event at Liverpool Cathedral. We took a group of year 5/6 boys and girls to attend the Sports Hall Athletics competition to represent our school in Heat 3 of the south/south central district. We found ourselves in a very tough Heat, finishing 2nd overall! A huge congratulations to our KS1 Matball Team - City Champions!! Our year 2 football team visited the LFC Academy to compete in LFC’s Football Festival. 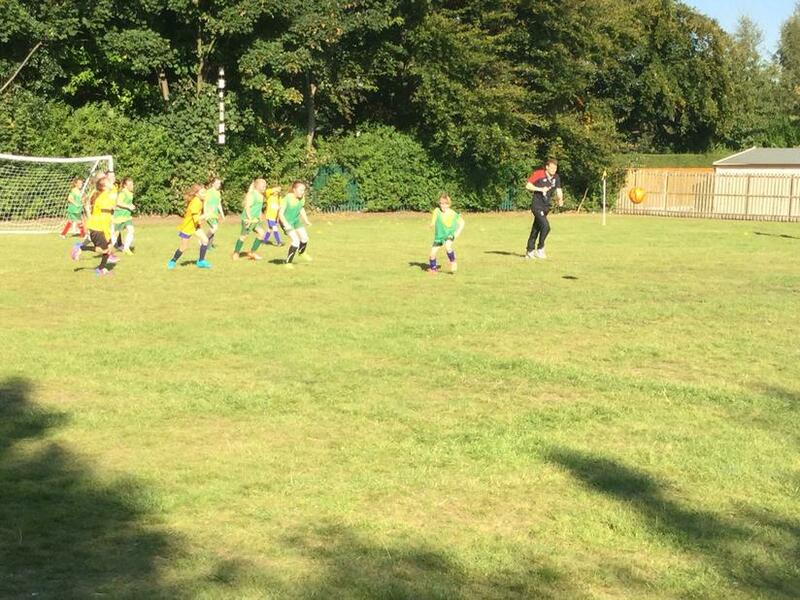 We played 5 matches during the competition, winning 4, drawing 1 and only conceding 2 goals. 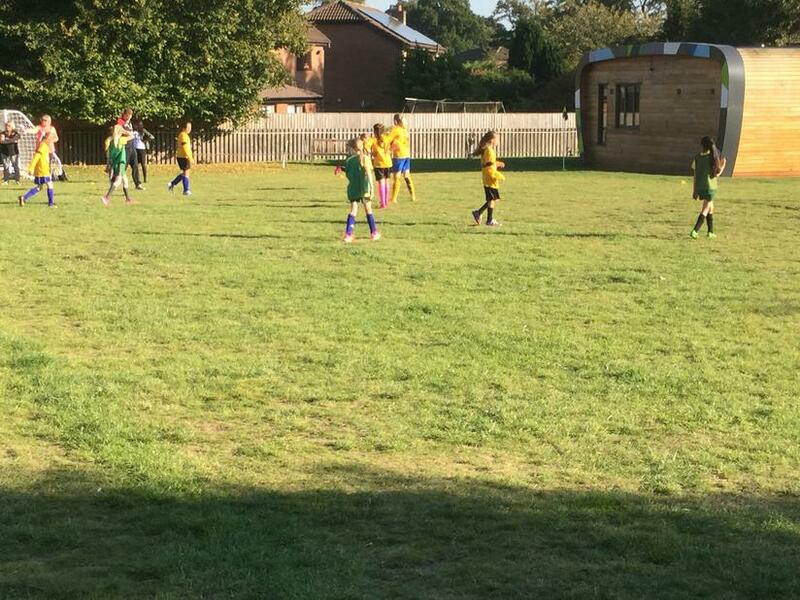 We displayed excellent communication and teamwork throughout the matches and also showed some fantastic pieces of individual skill and ability. We are really proud of our team who finished in 1st Place. Well done boys! 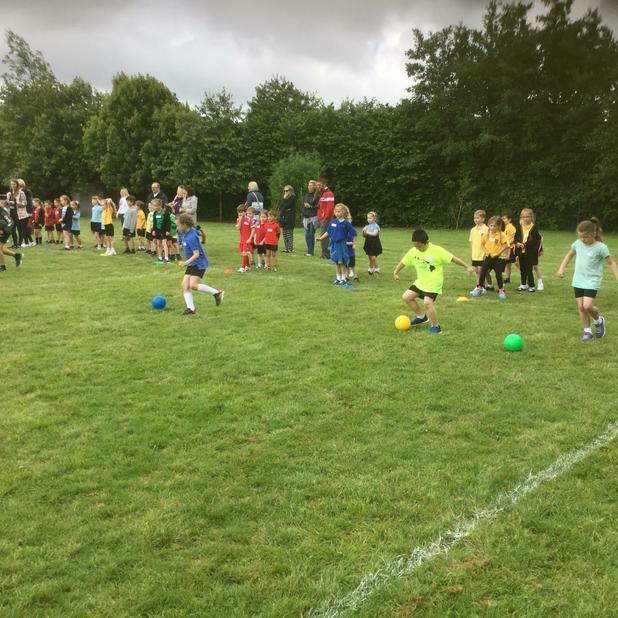 Our Y2 matball attended St Julies High School to compete in a KS1 competition. We are so proud to announce that after winning 5 straight games, we are now champions of the South and South Central Schools. We are delighted that our children were also awarded the 'Teamwork Award' which demonstrates just how well our Y2 team played together! We have qualified for the City Championships on 12th November. Good luck! Congratulations to us!!!! 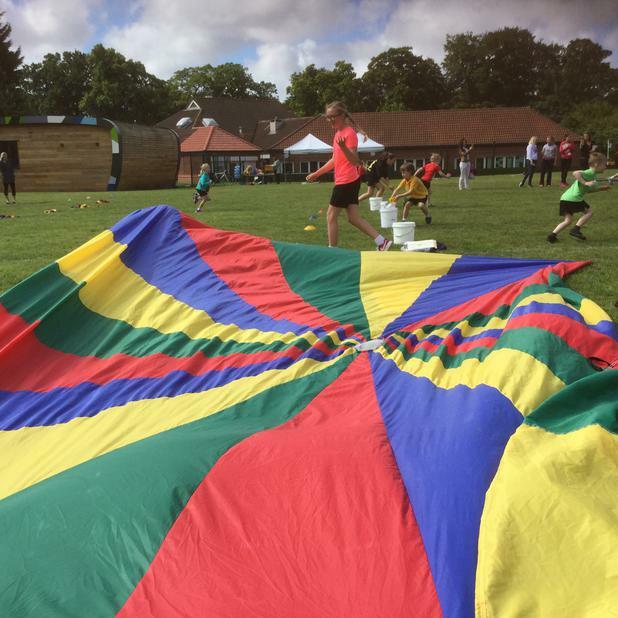 Childwall C of E Primary School has been shortlisted in the Educate Awards 2015 - Outstanding Commitment to Sport in a Primary School Award category. We have been advised that 2015 has seen an unprecedented number of entries and the quality across all categories has certainly impressed the judges, making it a very tough decision-making process. Therefore it is already an outstanding achievement to have made the shortlist. A busy day for Mr Hawthorne and the Y3&4 quicksticks team. Two teams attend the event at ESLA with the brand new school hockey sticks. Each squad played 5 games with the A squad winning 1, drawing 1 and losing 2. Our B squad won 2, drew 1 and lost 2. Well done to both teams. Another league match at home, this time against a pretty strong St Christopher's side. A really exciting game which was a close contest especially during the second half. Childwall won the game 3-1 and deservedly earned 3 points in the end. Well done!! A huge well done to our cross country team who traveled to Stanley Park to compete in the latest race. The boys team placed 2nd in the large school competition and brought home the silver award. 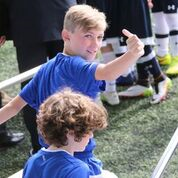 As reigning champions of the South Liverpool Cup, the expectations of Childwall were high. Corinthian brought a strong side and started the game really well. Corinthian went into half time leading the game 2-1. In a desperate fight to bring the game to level terms, Childwall where unlucky to strike the bar and kept the pressure on in the final moments. There was one last blow as Corinthian caught Childwall on the counter, to put the game out of reach. Final score Childwall 1-3 Corinthian. Childwall took the short journey to Much Woolton, in the absence of Mr Hawthorne, in a fixture that has always been a tough one in the past. Childwall started the game brilliantly, going 2 goals up within 10 minutes. Much Woolton however, drew the game level before half time. Childwall seemed to let their heads drop, going on to concede a furhter 3 goals. Final score Much Woolton 5-2 Childwall. A huge well done to our cross country team who traveled to Clarkes' Gardens to compete in the latest race. The boys team placed 3rd in the large school competition and brought home the bronze award. First game of the season saw a strong Christ The King team travel away to Childwall in what was an intense start to the season. With bot teams desperate to gain the 3 points from the game, it was Childwall that came out on top. Final score Childwall 2-1 Christ The King. 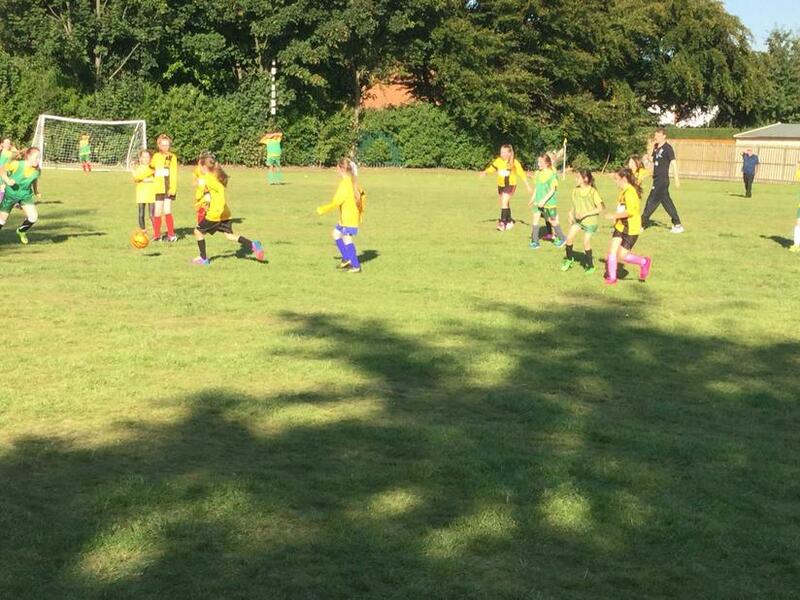 With 3 matches played our Y5&6 girls achieved a win, a draw and a loss. 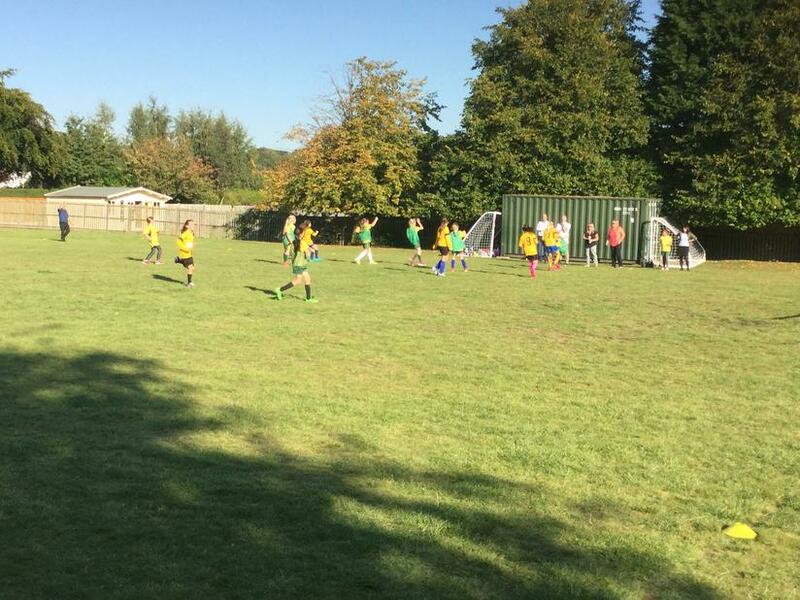 With goals from Maisie and Erin Mr Hawthorne commented on how well they worked as a team. Well done girls! Taking place at Newsham Park. Our first race of the year will take place at 4pm at Wavertree Park. 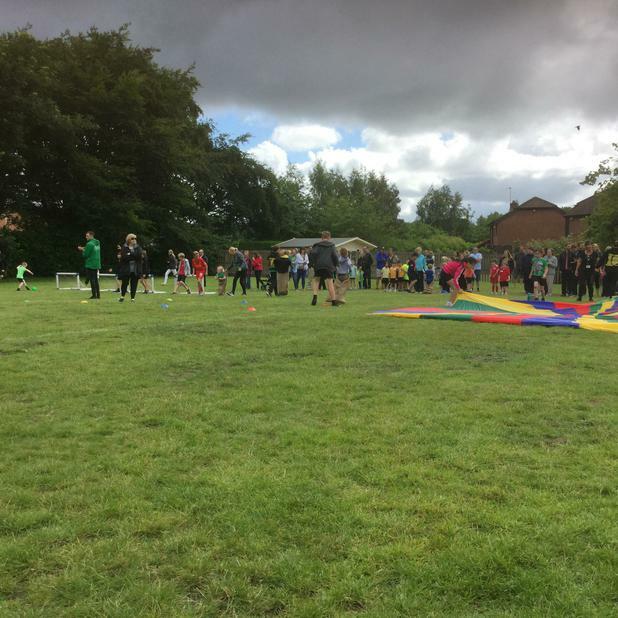 We wish the children the best of luck and hope the weather stays dry. Our Y3 boys spent the afternoon at ESLA and played 4 tournament matches. whilst they didn't qualify for the semi finals, Mr Curry and Mrs Kerr were extremely proud of their behaviour and skills. They won 3 of the 4 matches, but lost the final game. A great team showing lots of promise for the future. Well done boys! 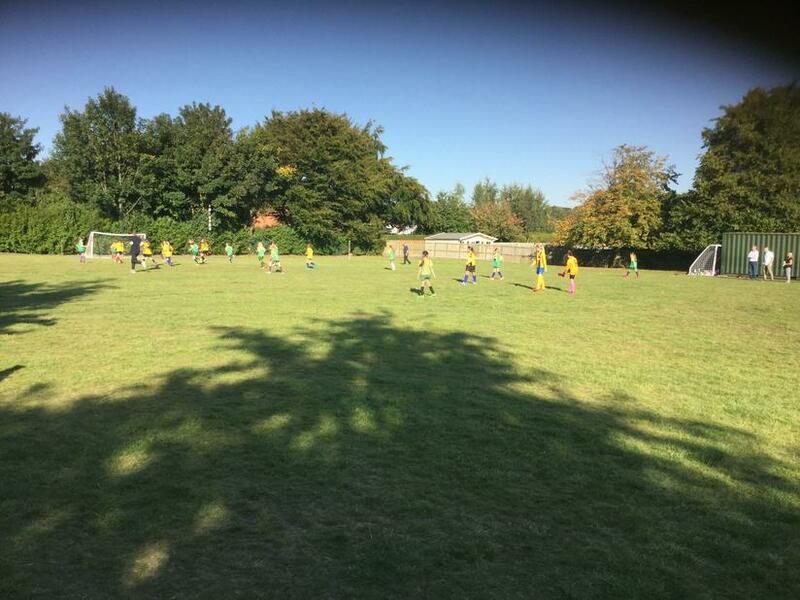 Our Y5&6 Boys Football team played a friendly match against Bishop Eton School at home. A late goal by Bishop Eton saw the final score as 3-3. Last year saw us receive the Silver Mark to recognise the commitment of our school in encouraging and supporting our children to compete against each other and with other schools across the region. 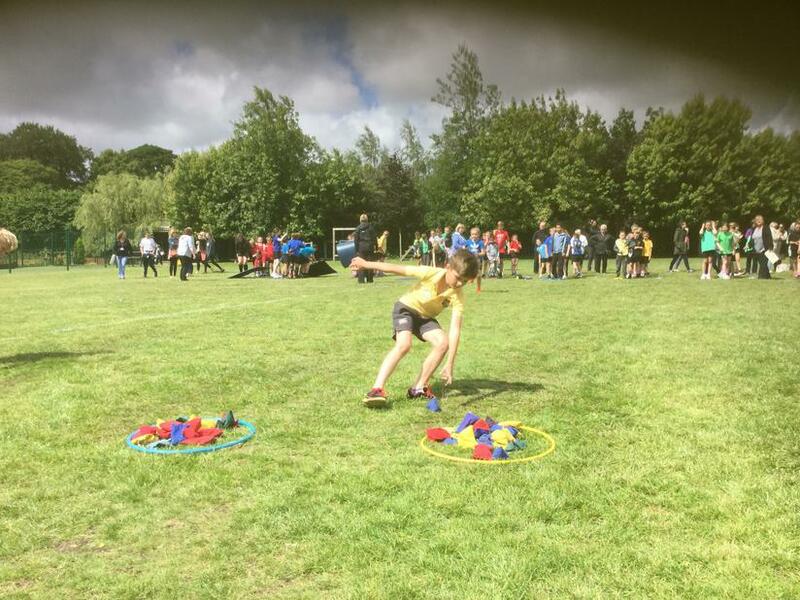 This year we will be actively working toward the Gold standard and your children will be given the opportunity to try, train and compete in a variety of sporting activities.